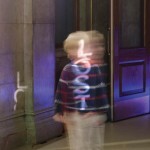 ‘Lost and Found’ are understated light and text reflection pieces activated by the viewer. 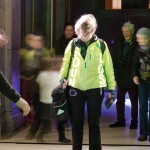 Passers by interrupt the reflection to become either ‘lost’, ‘found’, or sometimes both to highlight the sense of self and connection between people. ‘Lost and Found’ was first installed in Manchester Central Library for Enlighten Manchester Festival of Light and Sound Art 2015. 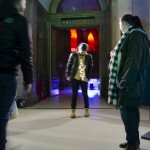 It was supported using public funding through Arts Council England.